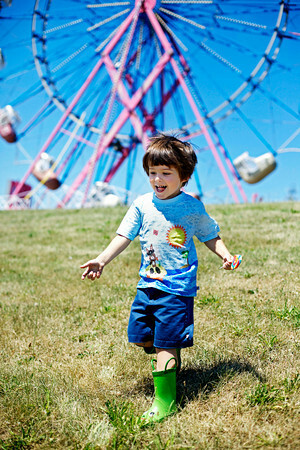 Get weekly emails with new offers & deals from Delaware Kids Directory! The Delaware Kids' Directory is a targeted marketing program designed as a FREE resource directory, targeted both in concept and distribution to parents, expecting parents, and grandparents. The Delaware Kids' Directory is the perfect method for your business to market your products and/or services. Let our directory bring in new customers month after month! It is published locally by parents who know what Delaware parents want! We reach active buyers month after month! It is easy to read and easy to hold onto! It is a convenient digest size that fits in a woman's purse! Your ad is always in full color and printed on magazine quality, glossy paper. Not newsprint! Your ad will not get lost between articles because we only have advertisements in our directories! Your ad will appear on our website just as it appears in the directory at no additional cost to you. We will also provide a link from our page to yours for free as well. We distribute 12,000 copies of the directory monthly to New Castle County. We work hard to distribute to targeted locations where a high volume of parents will be able to pick up the directory. Our list of distribution locations is growing daily and below is a list of some of the places you will find the Delaware Kids' Directory. Our directories are printed two months at a time (but are delivered monthly) so we have six deadlines throughout the year. Below is a list of our deadlines. Don't think you can afford to advertise? Think again! With the Delaware Kids' Directory we can design an effective ad that can fit into any budget! "Delaware Kids Directory is a wonderful way to advertise for our Dance School. The small size and full color format make it very eye catching, and the perfect amount of information for families on the go!"